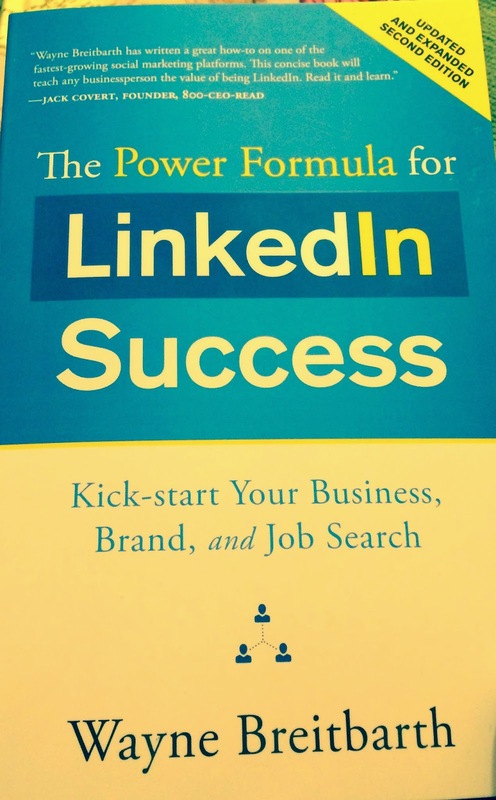 According to Wayne Breitbarth, author of The Power Formula for LinkedIn Success, “your unique experience combined with your unique relationships plus LinkedIn equals the power.” The power of LinkedIn is it’s 332+ million users. However, Breitbarth suggest that not all of these connections are equal. “It is no different than going to a networking event in person, says Breitbarth, “it is important to have a connection strategy to determine who you are trying to get in front of to move your career forward.” He says most people network with their friends, people they know from church, co-workers and neighbors. Instead, people managing their careers should proactively seek connections from target companies and join industry groups. Breitbarth, an accountant and entrepreneur, was reluctant to use LinkedIn initially. Since he connected to LinkedIn in 2008, Breitbarth transformed himself into the “LinkedIn Guru” to those who attend his training classes and talks and his book has sold over 70,000 copies. As a Boomer himself, he understands the reluctance to LinkedIn is often generational. “For sure, no question it is generational. You grew up with much more privacy. Lack of privacy is something 20-somethings take for granted and that really is a fact,” says Breitbarth. Baby Boomers are also less likely to have a photo or summary on their profile. He explains that people in their 50s and 60s are concerned about bragging about themselves or appearing boastful. It even extends to not having a profile photo. “People on LinkedIn without profile photos and summaries are asking for nothing to happen,” says Breitbarth. He explains that corporate recruiters pay fees for access to all 332 million LinkedIn users. “Recruiters can fully view profiles even without relationships or being part of a group. Hiring managers can see your profile, presentations and recommendations,” according to Breitbarth. He acknowledges that most people freeze when they see an empty box for a summary that may contain up to 2,000 characters. “People need to take the opportunity to tell their story on LinkedIN,” says Breitbarth. Wayne's book "The Power Formula for LinkedIn Success: Kick Start Your Business, Brand and Job Search" is available at his website www.powerformula.net. Also while visiting his website be sure to sign up for his very helpful free weekly email of LinkedIn tips and strategies. I tried LinkedIn and kept getting emails from all the group discussions and had to take my profile down. How do you stop getting mail?